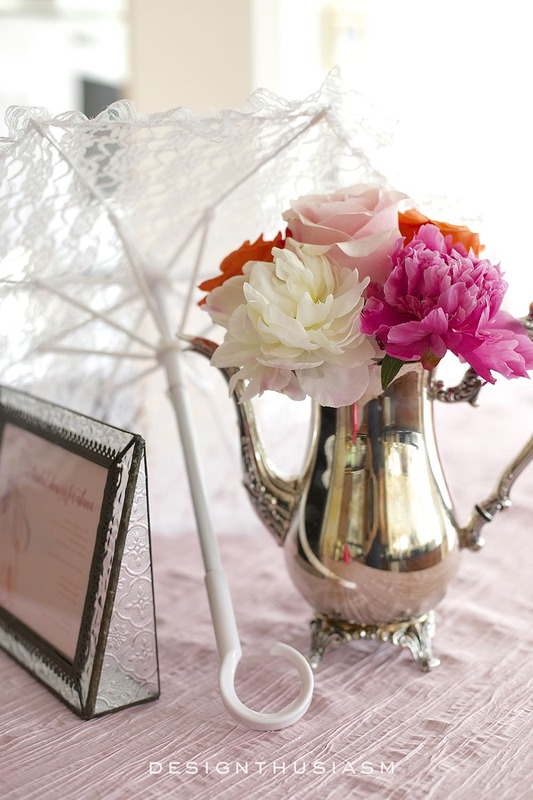 Peonies, wine and sunshine… 3 perfect components for a May bridal shower! Last week I previewed the beginnings of the decor for my niece’s shower and I promised to come back with photos of the full set up, once I had all of the flowers on hand. I spent the days prior to the party scouring 3 different flowers markets for every peony I could find, then coaxed the petals out of the tight buds for the showy display I was hoping for. 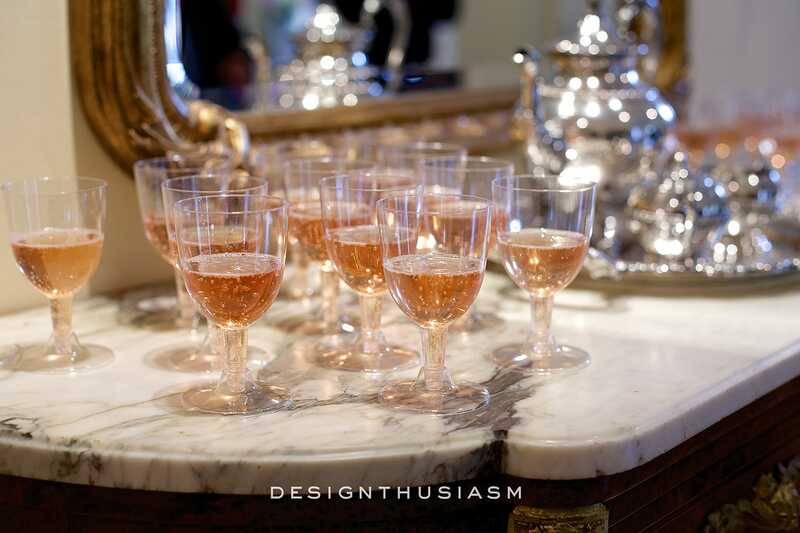 The theme of the shower was a rosé wine tasting and the lovely blush tone inspired the palette of the day. The first wine was a sparkling French selection, set out on the bar to greet the arriving guests. Florals were placed everywhere and comprised the essence of the decor. 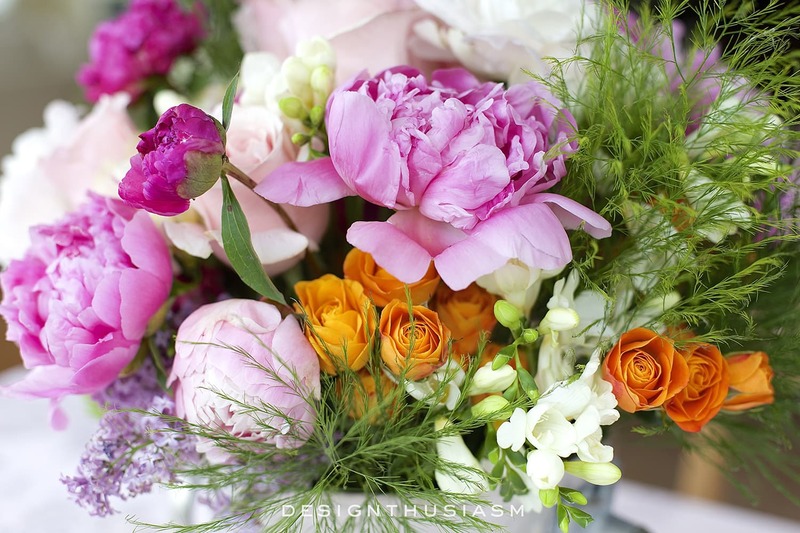 When you have the breadth of flowers available to work with in May, you don’t need much else. 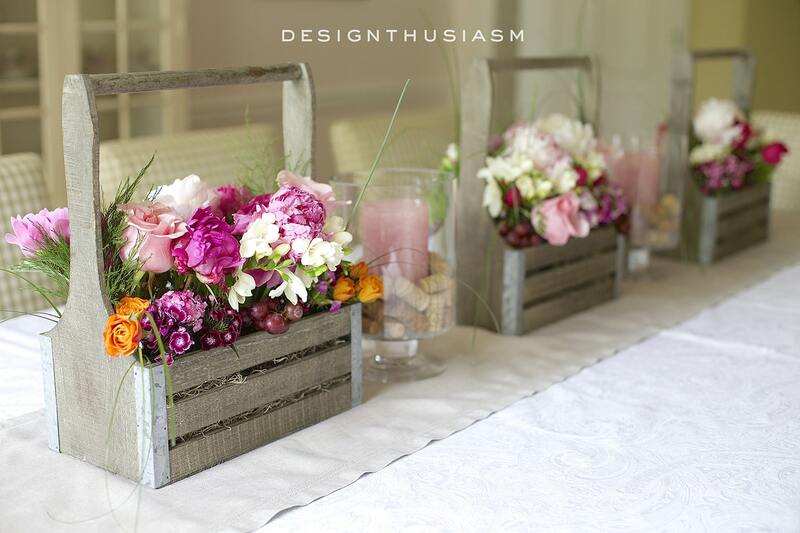 Here in the dining room, I placed 3 rustic planters filled with blooms in varied shades of pink. 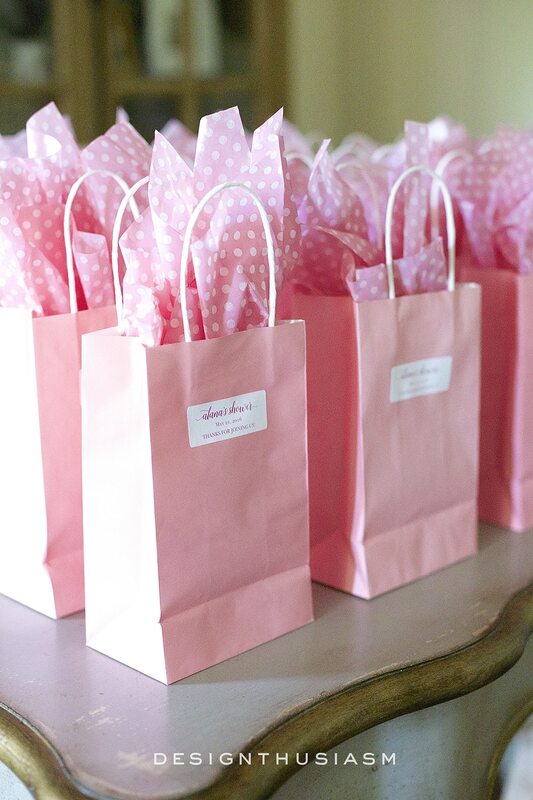 The favors were presented in rose colored bags with lovely dotted tissue and stickers I printed to mark the occasion. Here they’re lined up basking in the sunshine, despite the weather report’s forecast for a day of rain. No showers for this shower! The vignette I had previewed last week was moved to the center of the serving table, where the luncheon would be offered following the wine tasting. 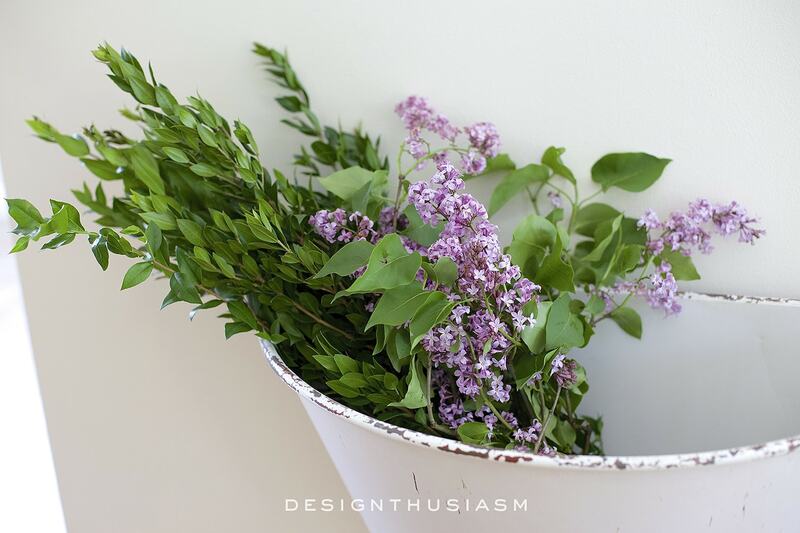 Lilacs were added to the distressed metal planter that sits on a wall adjoining the breakfast and family rooms. For details on the planter you can see A Fresh Way to Display Flowers. 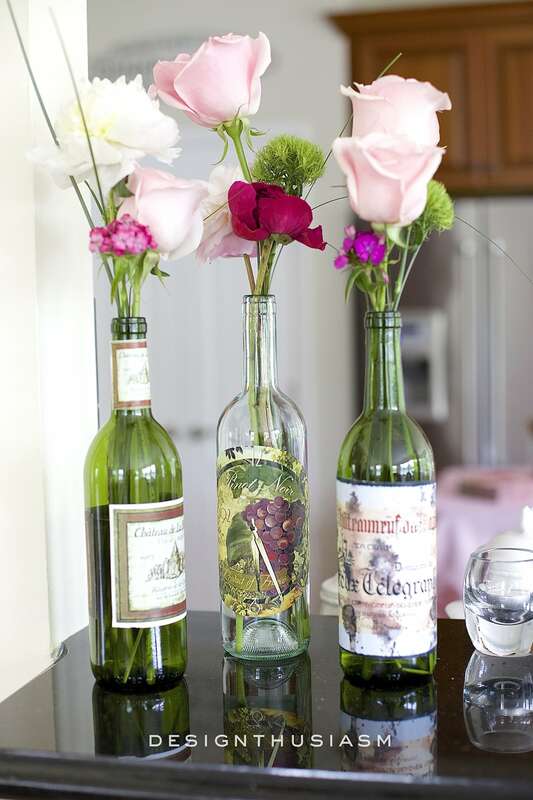 On the corner of our bar counter I used three French wine bottles, delicately adorned with a sweet selection of blossoms. 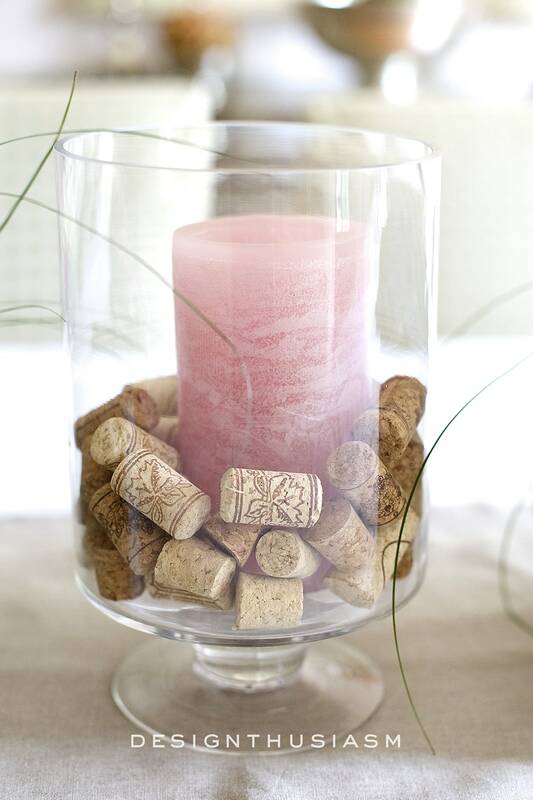 Pink pillar candles were placed in glass hurricanes, encircled at the bottom with wine corks for our theme. I bought three different tones of pink peonies but this mid-tone pink is my absolute favorite. 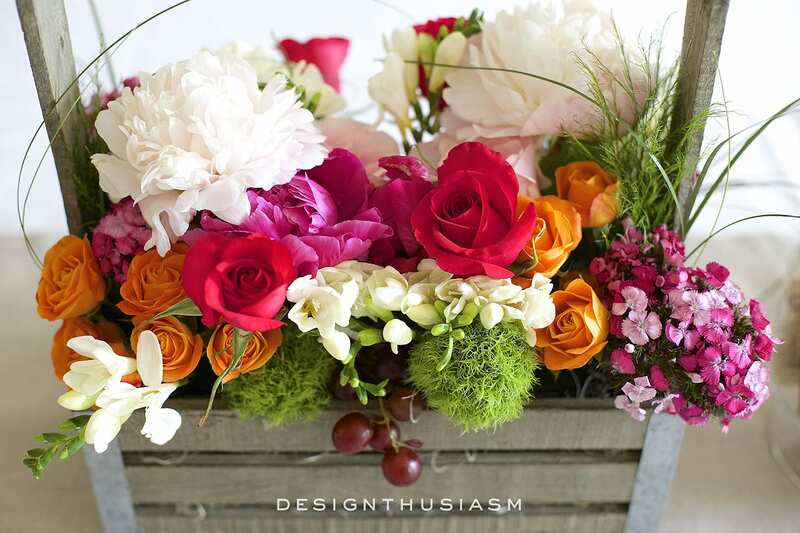 Roses, freesia, lilacs and greens round out the presentation. This stunning arrangement was done by my friend Cathy. Complementing the Provençal wines were a selection of French cheeses, served with fruit preserves as a pre-luncheon starter. The wines were mostly French, but there was one Italian option to keep things interesting. 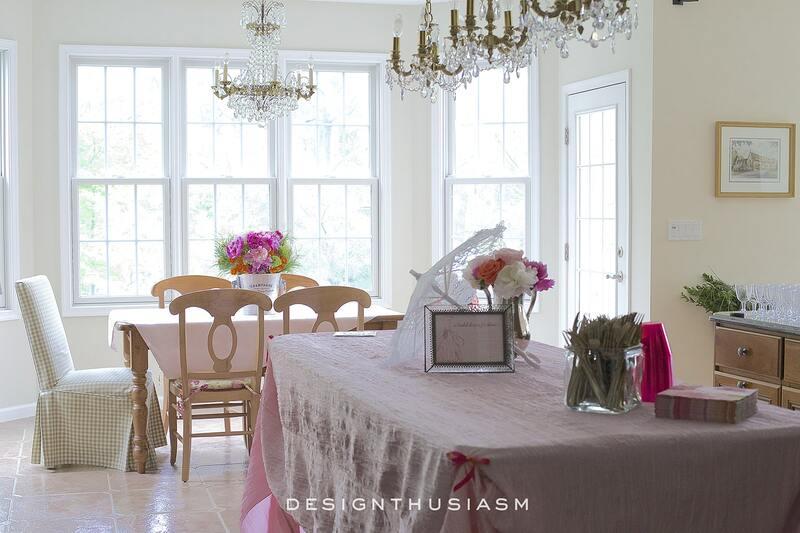 The kitchen island was covered with a blush crinkle cloth and was home to the luncheon platters shortly after this photo was taken. Grapes were added to some of the floral planters, again to tie into the vineyard theme. 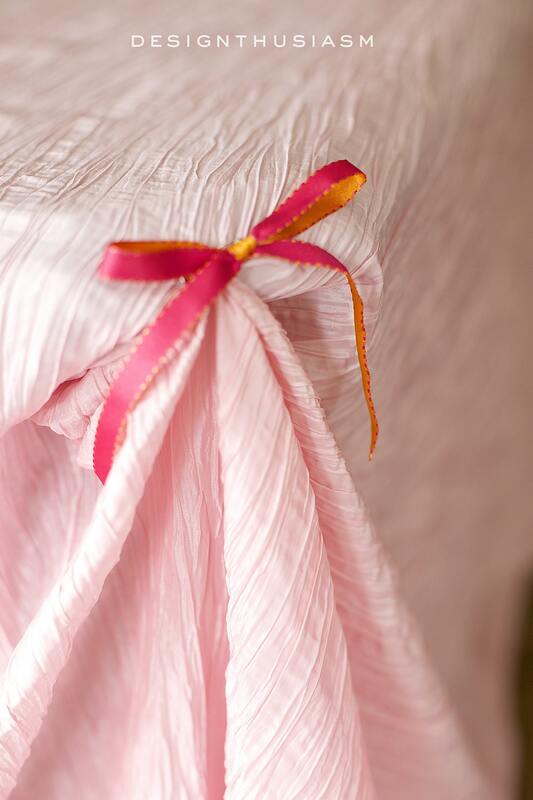 To keep the cloth from sweeping the floor (and tripping the guests), I pinned up the corners and held them with ribbon. 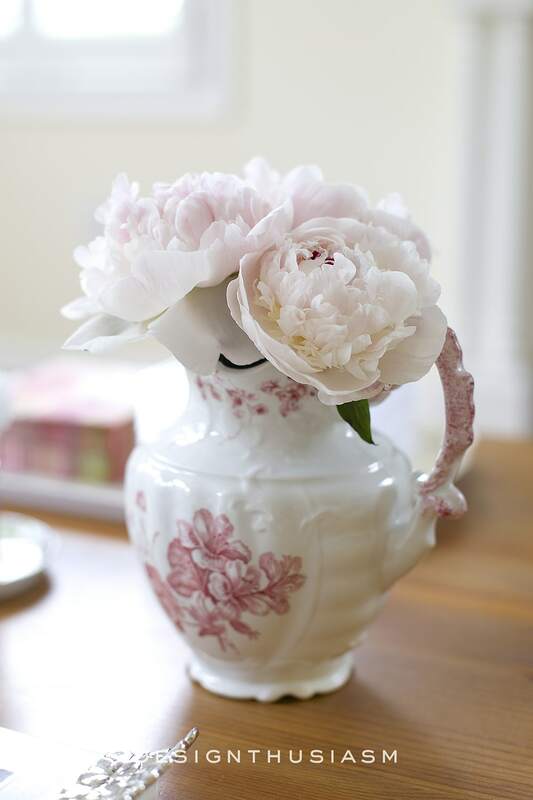 In a pretty transferware pitcher I tucked in yet another cluster of peonies, this time pale in their barely-there pink. 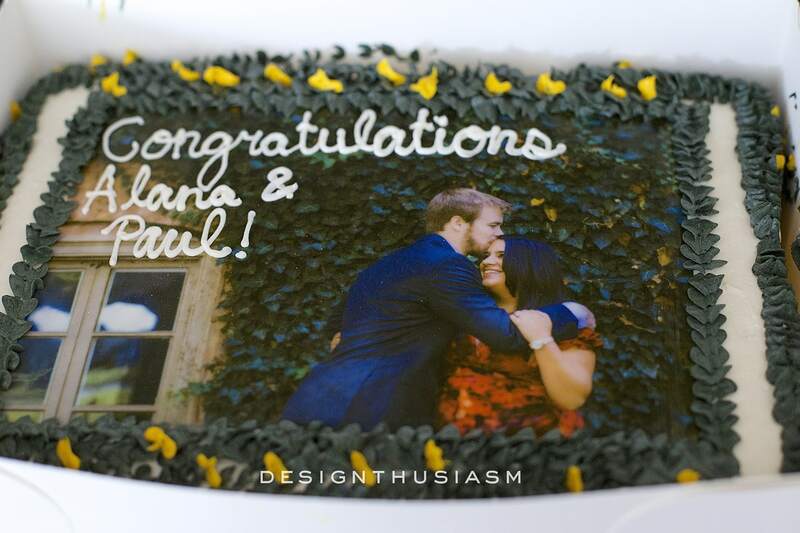 The final touch was a photo cake bearing the image of the soon-to-be-married couple, beautifully done by a local bakery. It was a delightful afternoon of celebrating love, made all the more lovely by peonies, wine and sunshine! Everything looks absolutely gorgeous!!! 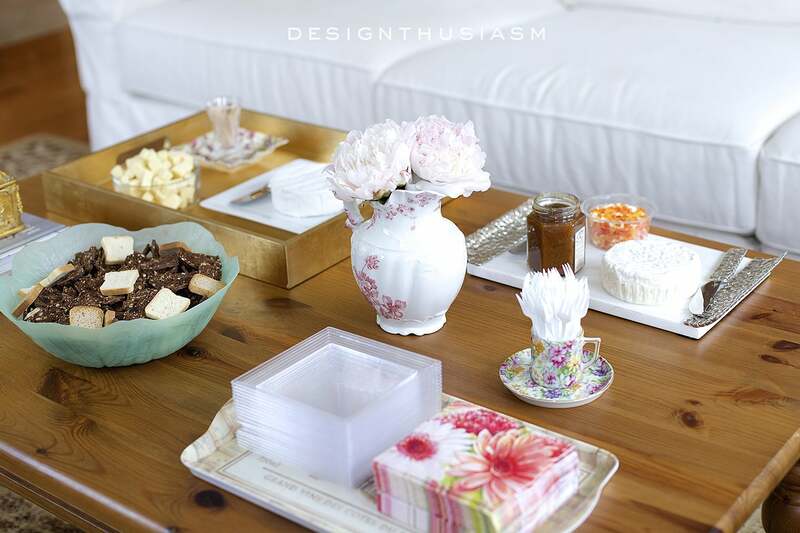 You can tell that you took a great deal of care and thought into making this Bridal shower special for your niece. Delightful party. I adore the colors in your floral arrangements. The pink, fushia and apricot colors are lovely. 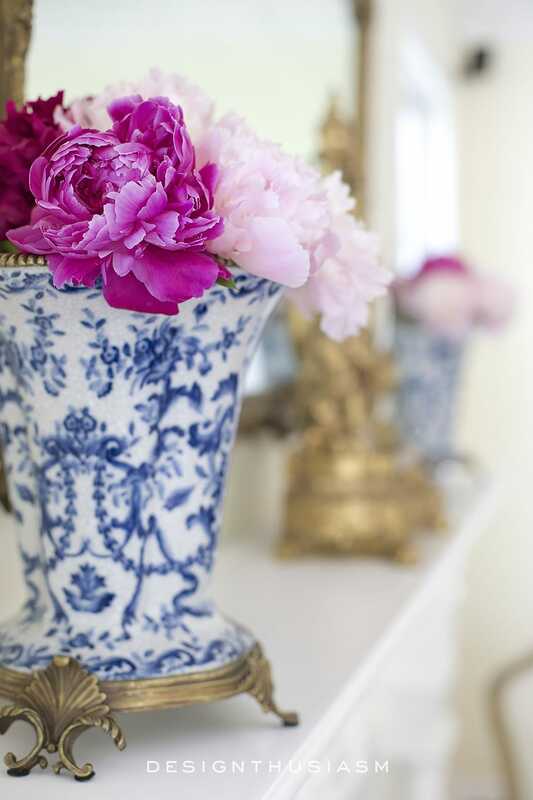 Of course, gorgeous peonies are extra special. We can only special order from a florist to buy peonies. They are not in our grocery or even speciality markets. 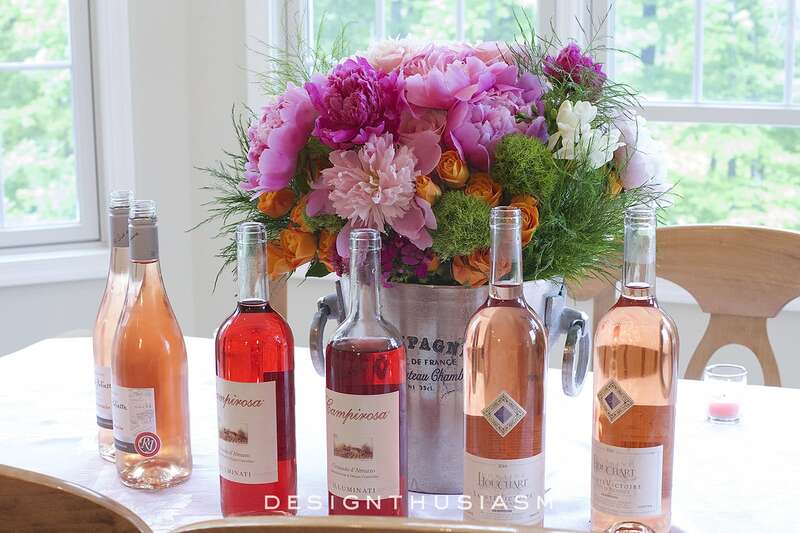 The rosè wine colors are the perfect accent. I know the guests of honor felt special. You are an excellent hostess. Thanks, Bonnie! This was a difficult year for peonies even here, where we normally can buy them at the grocers. It seemed never to be the right time – first too early, then… bam, too late! But for me, they’re worth searching high and low for… 😉 Thanks again for the kind words! What lovely photos of a memorable occasion! I would be thrilled if I was the bride -to-be! The flowers & the presentation…everything is just perfect, Lory! (dropping in from Blogging Fifty). Beautiful! I absolutely am in love with the blue and white porcelain vase. May I ask where you got it? Thank you. I love how delicate this feels! You styled this with a light hand but every ounce of loves shows through. My daughter is to be married sometime during the next year so I will keep these ideas in mind. Question : how does one go about finding flower markets in a city unfamiliar to you? Love your style!